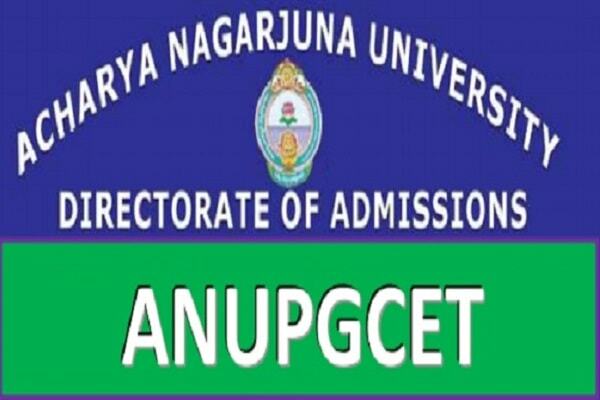 ANUPGCET 2019 rank cards, results and counselling dates: Acharya Nagarjuna University has published Post Graduate Common Entrance Test(PGCET) 2018 Notification on ..... February, 2018 and ANU invites online applications from the candidates who have passed or appearing for the final year examination in the qualifying degree for admission into Post Graduate courses as listed in its website (www.anu.ac.in) leading to Post-Graduate degree in M.Sc., MA., M.S.W., M.Com., M.H.R.M., M.Ed., M.P.Ed., PGDAS., P.O. Diploma in Yoga., 5 Years Integrated Courses in M.B.A. and Nanotechnology for the Academic Year 2018-18 offered by Acharya Nagarjuna University Campus. PG Centre, Ongole and its Affiliated Colleges through ANUPGCET-2018. The candidates, who were appeared for the pg entrance exam, they can download the rank cards from the official website. Hall Ticket and Rank Cards are should be retained by the Candidate even after the Entrance Test as it is required at the time of Counseling. Candidates can download their Rank Cards and Schedule of Counseling from the website www.anudoa.in or www.anu.ac.in/doa. The movement the above material is uploaded to the website, it will be informed to the candidates through SMS / E-mail. Counselling dates would be announced the after release of rank cards.